After four Boston University athletes were drafted in the first round of the 2016 NHL Draft, two more Terriers heard their names called on Saturday at First Niagara Center in Buffalo. The two most recent draftees, Chad Krys and Pat Harper, mean that BU led all college programs in total prospects selected this year. Read on to find out where the incoming freshman ended up. His draft stock may have dropped, but Krys didn’t have to wait long to be drafted Saturday, as the Chicago Blackhawks took the defenseman 45th overall. The selection now means Krys and his father, Mark, who was a Terrier captain in 1990, are the first father-son combo to attend Boston University and be drafted into the NHL. 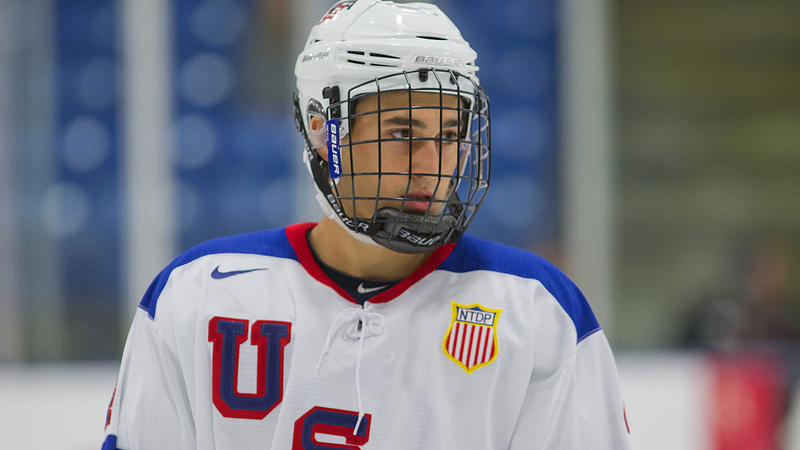 Most teams see the 18-year-old as having plenty, as he was selected to Team USA’s World Juniors team this past winter. The Blackhawks aren’t a team that are need immediate help of any kind, as they have had nine straight winning seasons and won the Stanley Cup three times in the last seven years. Krys will head to Commonwealth Avenue this fall to improve his game, and the Blackhawks will wait until the right time to bring him to Chicago. One of BU’s lesser-known newbies, Harper was taken by the Nashville Predators in the fifth round with the 138th overall selection. Harper, 18, joins incoming teammate Dante Fabbro as a member of the Predators. The forward last played for Avon Old Farms, where he tallied 39 assists and 59 total points.